The underwater and subsea engineering consultancy services provided by the company bring together experience in the following fields.  Operational experience in offshore operations.  Safety, risk, reliability, failure mode and similar analyses. One of the main specialities is carrying out system evaluation and failure investigations especially where intermittent faults are the source of the problem. Concept, specification and oversight of commissioning a triple redundant safety critical control system. Hydraulic Crane intermittent "freefall" problem investigation. Project Engineer Piper "A" salvage recovery operations. Field Project Engineer Piper "A" demolition. Crane boom cracking investigation and repair. Dredging and drill cutting removal studies. Saturation life support system studies. 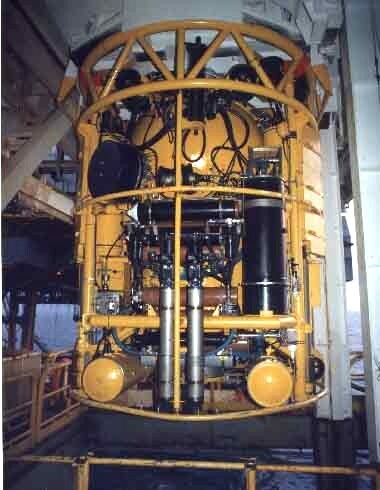 Engineering support for submersible operations. Installation and commissioning equipment installed on offshore vessels and rigs. Advanced Marine Innovation Technology Subsea Ltd has used the skills that have been accumulated during more than thirty years of experience to generate innovative products and to provide tailored services and solutions for the underwater industry. The engineering skills cover a wide range of disciplines. The multi disciplinary capability ensures that all relevant factors are considered in order to arrive at a fully integrated solution. The key is to take a problem back to basics and then logically develop a simple elegant solution. Challenging problems can be solved with innovative economical solutions. The in depth expertise permits the development of coherent and simple concepts. Clear lucid specifications can then be drawn up to pass the concept on to design, manufacture and commissioning.